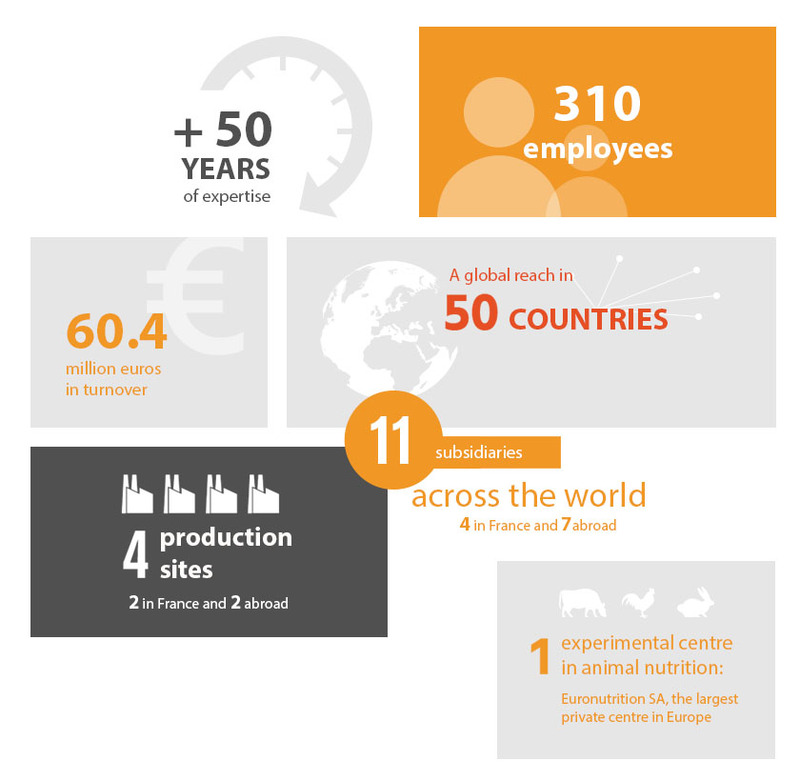 in a "research department state of mind", the TECHNA Group initially developed its business in France, with the construction of its first production site in the 1980s, before launching its Feed Expertise trade internationally. TECHNA then expanded into the field of animal research, taking part to create Euronutrition, Europe’s biggest private experimental centre specialising in animal nutrition, in the early 2000s. Supported by its independent capital base, the Group launched a diversification strategy, first in the field of Animal Specialities and Horses, then in Aquaculture and Plant Specialities, thereby consolidating its ambitions: meeting the challenges of the future in terms of animal nutrition and techniques, as well as crop protection. supported by the men and women who work for it, the Group has cultivated its independence and nourished its spirit of service, with energy and passion!